Step 5 (Conf ession) is one of those “scary” steps. It is the first one in which we actually have to talk to someone else about our past. If we have never done this before, it can seem overwhelming. Here are 6 observations about working Step 5, based on the manual for the Addiction Recovery Program of the Church of Jesus Christ of Latter-day Saints, A Guide to Addiction Recovery and Healing. In the first paragraph of Step 5 the Guide talks about addiction “thriving” in an atmosphere of emotional isolation. I think addiction and emotional isolation feed off of each other. They are like the chicken and the egg; which comes first? When we isolate (avoid social interactions, stop sharing our feelings with loved ones, etc.) we are more likely to engage in addictive behavior. At the same time, when we indulge in our addictions, we are more likely to withdraw and isolate. We need to be on the alert for both so that we can recognize that we are heading down a potentially dangerous path regardless of which one comes first this time. Most commonly the person to whom we read our inventories is our sponsor or “support person” as s/he is referred to in the Guide. This person already knows us and loves us. S/he has helped us to work through the previous steps and wants only the best for us. It has been my privilege to have been that support person for quite a few 5th Steps. No matter what they tell me, the Spirit is there and helps me avoid rejecting, judging or preaching to them. We have all done things that we would rather not have to admit, but admitting them allows us to finally put them behind us and become free of the past and able to welcome the changes that the Lord will help us achieve in the remaining steps. Following the previous quote, the Guide goes on to say, “The individuals who listened to our inventories often helped us see lingering areas of self-deception.” When my sponsees share their inventories with me, I listen for patterns. Are there certain behaviors or motivations that I hear over and over again? After she is done sharing I reflect back to her what I have heard. I help her to identify shortcomings and weaknesses that are expressing themselves through the behaviors and attitudes that she shared with me. Each step has an input and an output. 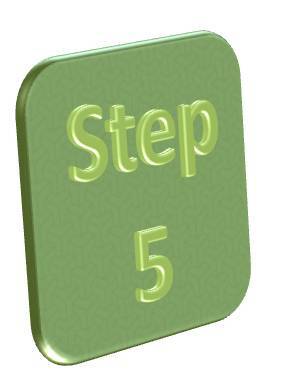 The input to Step 5 is the moral inventory we wrote in Step 4. The output of Step 5 is a list of character weaknesses and shortcomings. We will need that as we begin working Step 6, which is about becoming ready and willing to turn our character weaknesses over to God. When someone shares their inventory with me, there are usually one or two things that they really feel uncomfortable disclosing. Holding back those things is like declaring bankruptcy without telling the judge about the most embarrassing of your debts. (See Declaring Spiritual Bankruptcy – Becoming Happy, Joyous and Free.) Don’t be afraid. You will survive sharing everything. Hundreds of thousands of others have done this and lived to tell about it. In fact, they almost universally found a new freedom and a new happiness by doing it. It is like taking off a backpack full of heavy rocks. This is true for every step. If I am not ready for a particular step, I look ahead with dread to it. This may even cause me to procrastinate working the program at all. It is a waste of time and a tool of the Adversary. If I have completed a thorough and fearless inventory in Step 4 to the best of my ability, I want to give it away in Step 5. If I am not ready to give it away, then I am not really finished with Step 4. I should pray for guidance. Perhaps I missed something? Maybe I didn’t dig deep enough? When I am ready to move on to Step 5, I will be anxious to give away my inventory. Among the 12 Steps, there are a few that can make us feel so fearful or overwhelmed that we may choose to stop our forward motion rather than have to work those steps. Step 4, in which we take a searching and fearless moral inventory is one of them. So is Step 5, when we share that inventory with another person. Step 9, in which we actually reach out to those we have harmed, ask for their forgiveness and make amends to them is so daunting that people often get “stuck” in step 8, afraid to move on. 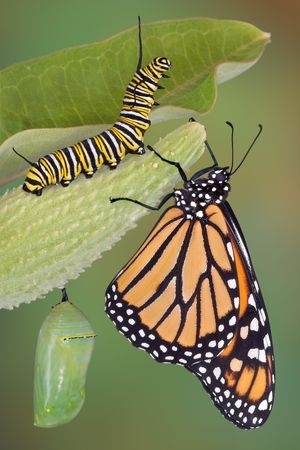 The paradox is that each of these steps, once taken, produces feelings of growth, love, acceptance and peace far stronger than the fear felt while contemplating the step. As we work the steps, however, hearing that these feelings are waiting for us on the other side of the work doesn’t always motivate us sufficiently to face the fear. Fear is one of the main reasons we don’t progress in the steps and that we get stuck in our addictions. Fear is, for many, the main reason we indulge in our addictions in the first place! The scriptures clearly tell us that fear does not come from the Lord. 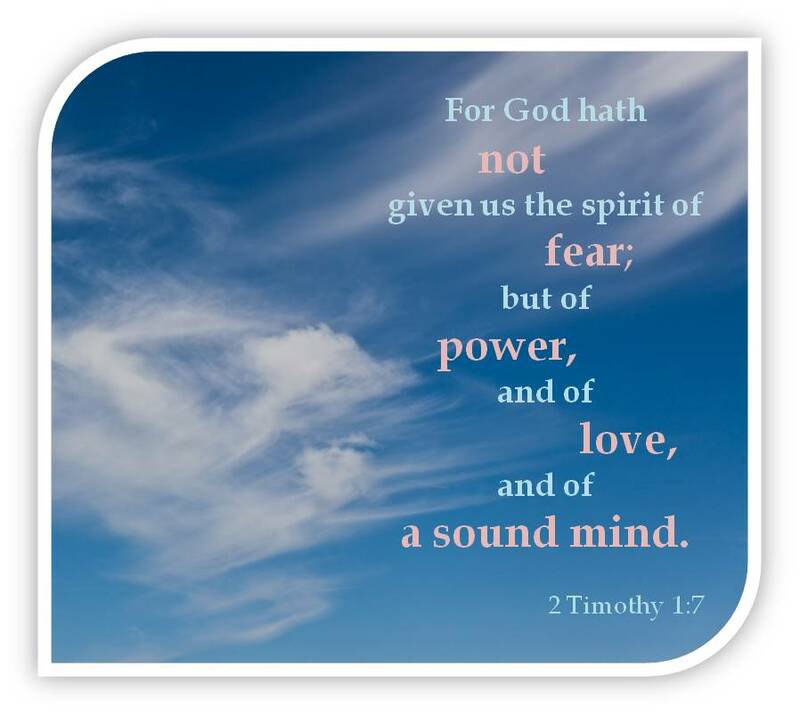 In 2 Timothy 1:7 we find, “For God hath not given us the spirit of fear; but of power, and of love, and of a sound mind.” If God does not give us the spirit of fear, then who does? Satan. And we willingly accept this gift from our Adversary, and embrace it. As a “natural man” (or woman) we are susceptible to fear. What does this scripture tell us that the Lord gives us instead of fear? He gives us the spirit of power—the power of the Lord, the power of the Atonement—to use to do His will. We are given the spirit of love, which is the power by which the universe was created. And finally, we are given the spirit of a sound mind: peace, calmness and serenity. What do we need to do to be able to receive these good gifts? We must put off the “natural man” and become a “saint”—a child of God. Make a decision to put aside fear—to refuse to accept that gift from Satan—and to trust the Lord and receive His gifts. Plunge ahead in your program with the help of your sponsor and other support people. You can do this. The Steps will work for you. You do not need to walk in fear. You are a son or daughter of God, designed and created by Him. He will help you achieve the recovery you deserve so that you can become a more useful and valiant servant as you mend the fences you have broken, and share the gift of recovery with those around you. What fears are preventing you from making progress in the steps or anything else? What do you believe is the source of your fear? Are you willing to set aside your fear and trust the Lord to lead you forward? What action are you willing to take today to move forward, walking in faith rather than fear?